Found a International IC RE with a DT530 in it with 184,000 miles on it. Is this a good reliable motor? With that many stop and go miles is it ready for a inframe? I think you got a great engine there it's in the family of the dt360, 466 and dt530 excellent engines all three, should have another hundred or more before an in frame. Sounds like a great bus the only thing that would ruin it is paying too much. 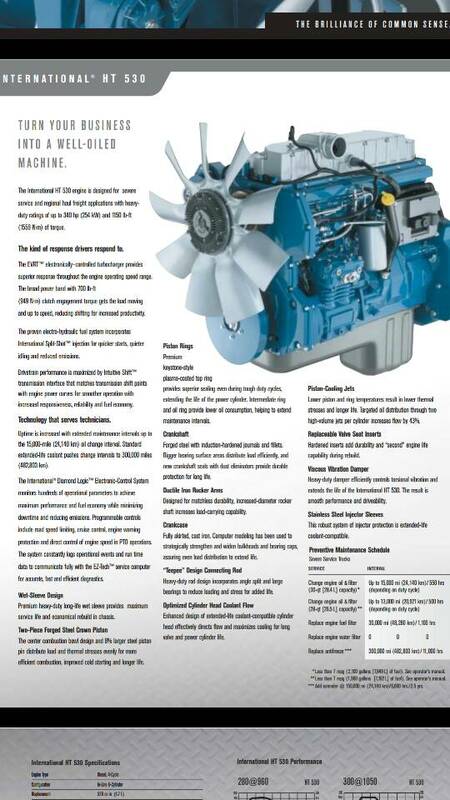 Here's a little information on that engine. THe 530's are awesome, but talk to cowlitzcoach and Kubla. They know more about em than me. What I've been told is that they're prone to a couple of possible issues and that a good 466 is preferable. Just what I've been told. I'd love to try a 530. MOAR power is always good! probably means its got a 643 or MD3060 trans in it too! Almost CERTAINLY a 3060 the 643's max hp rating is around 250 iirc, and the 530's torque/hp would definitely be a bit much for it, I'd imagine. speaking of 3060 did dred ever resurrect his?